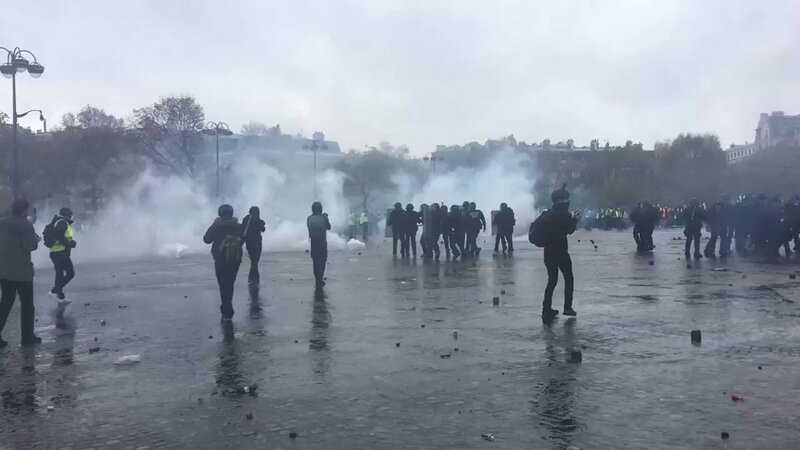 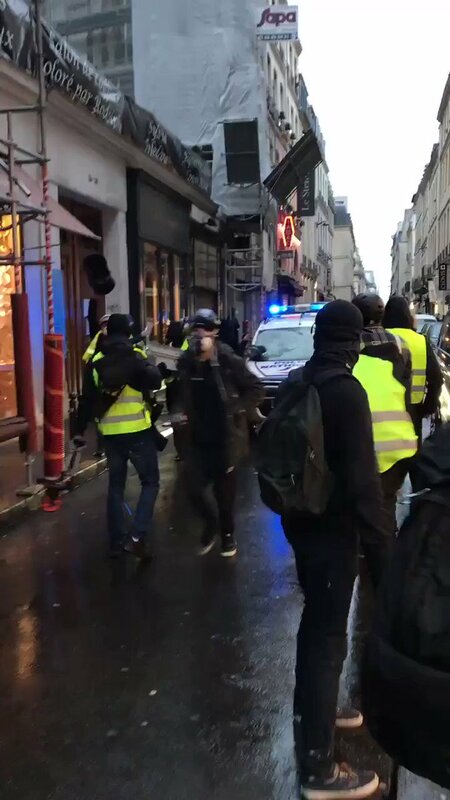 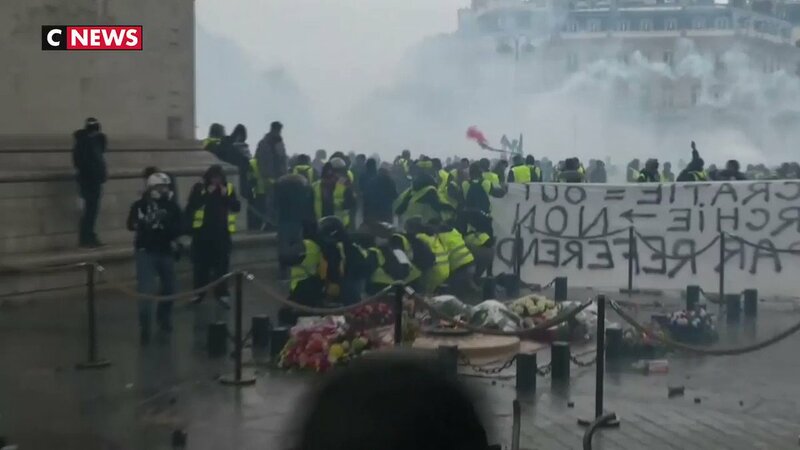 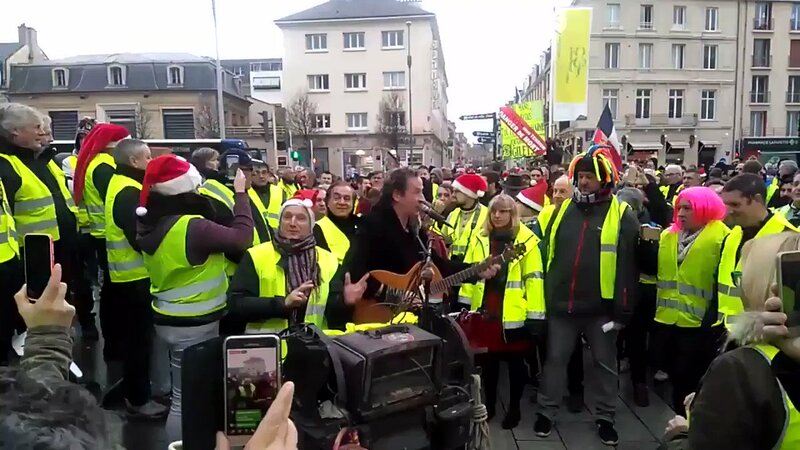 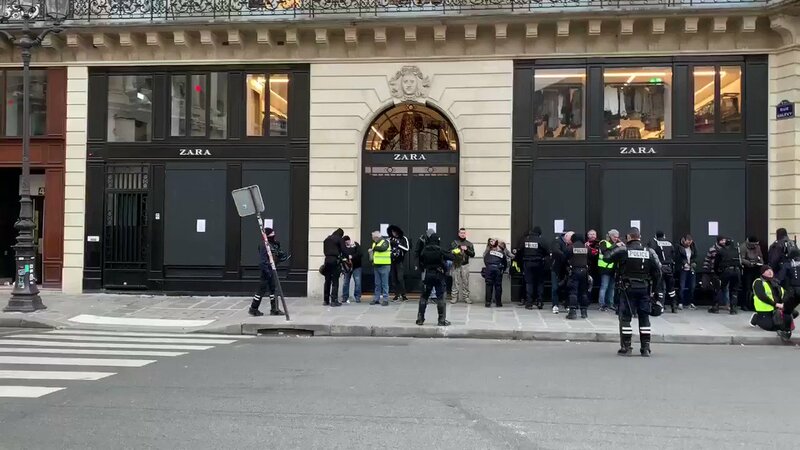 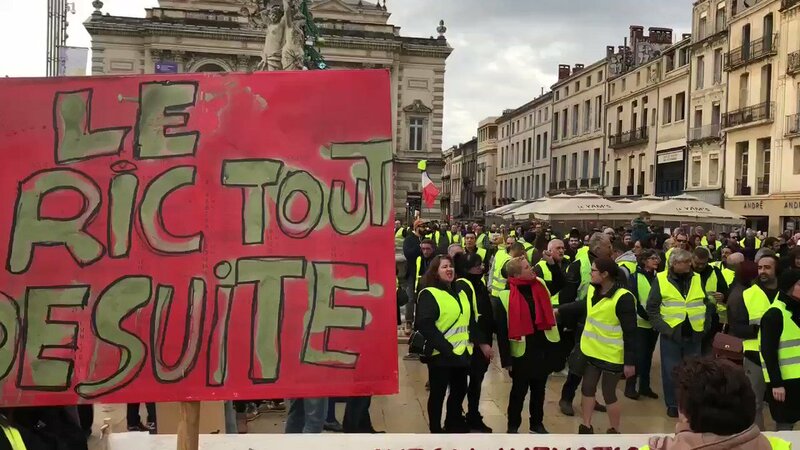 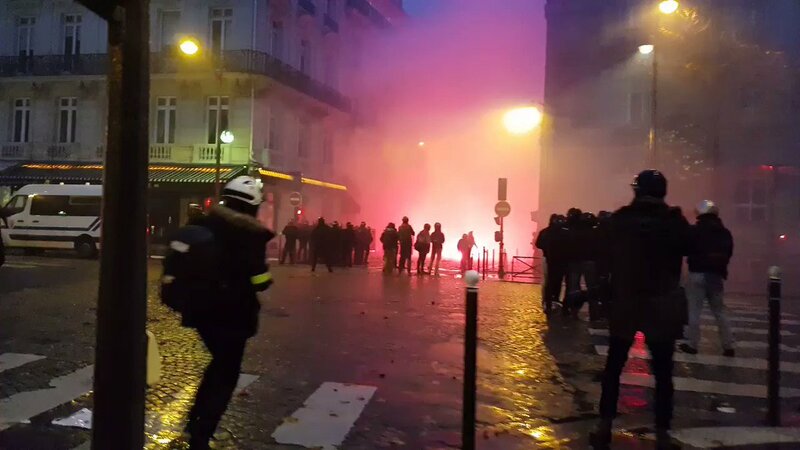 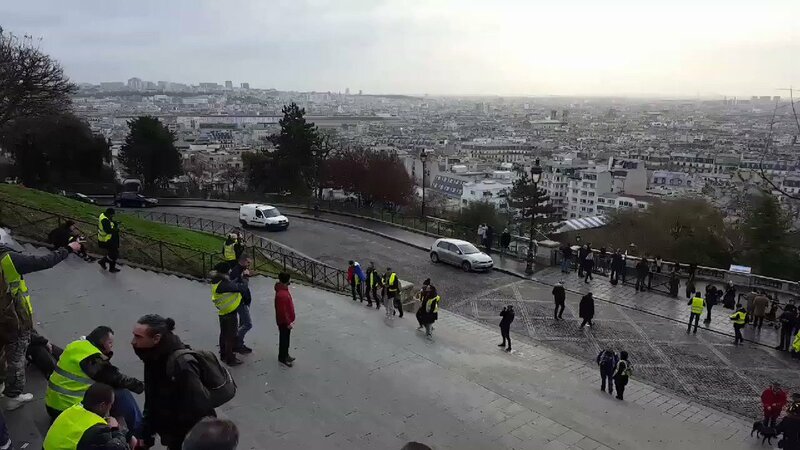 🚧 A new manifestation of #YellowVests in #Paris ..
#GiletsJaunes protesters are now investing the Opera district in #Paris.. 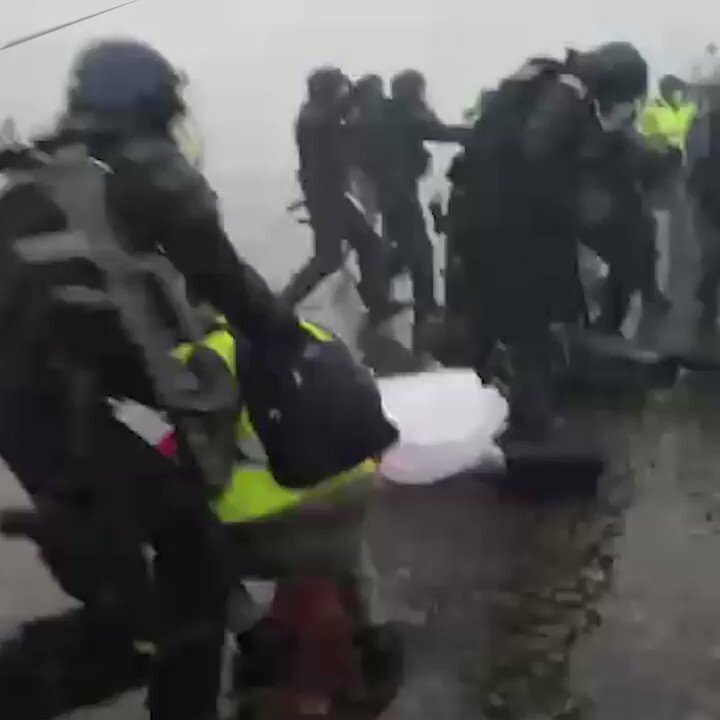 This is the reality when Revolution started.. the police are totally out of date!! 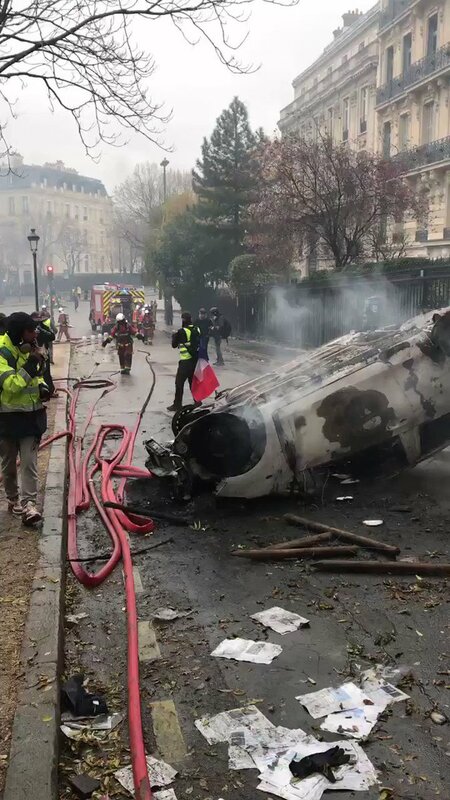 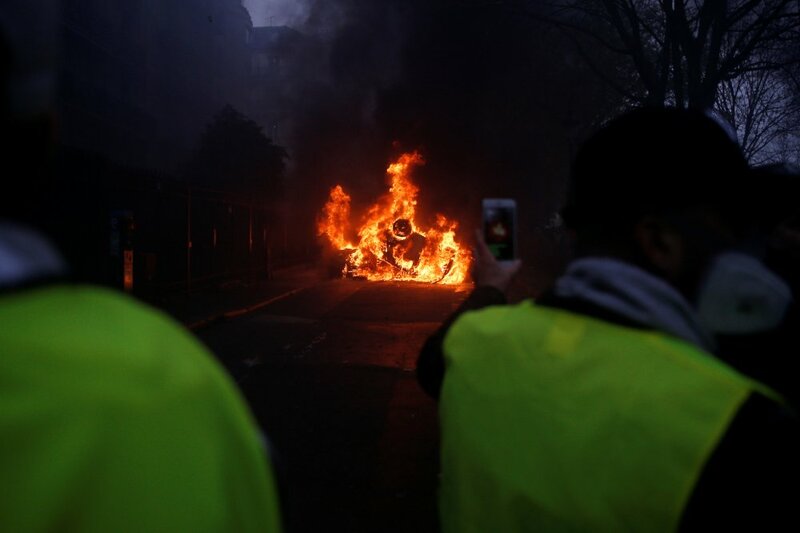 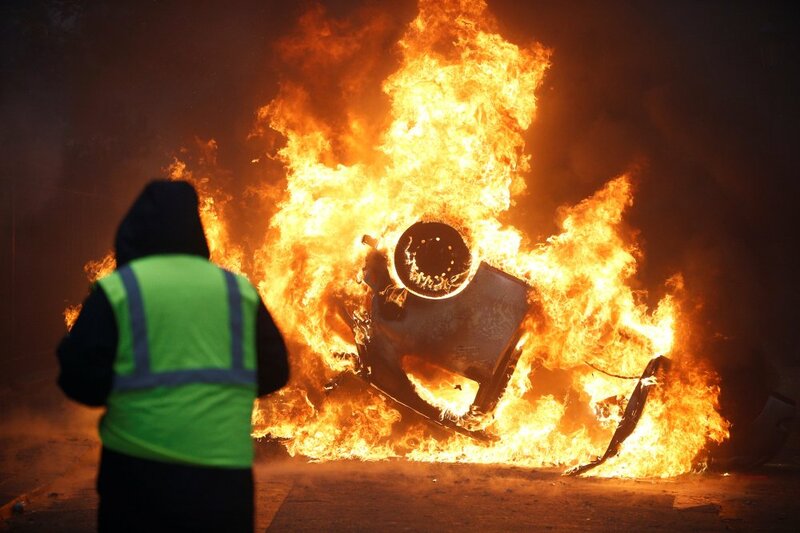 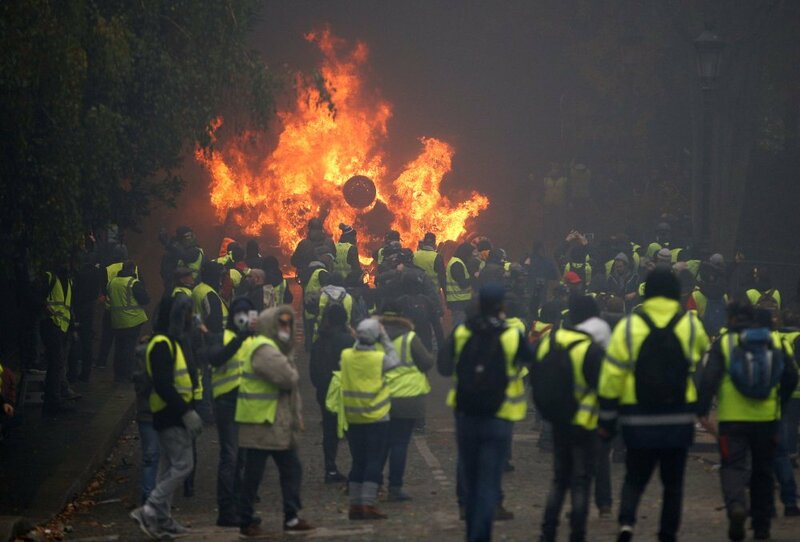 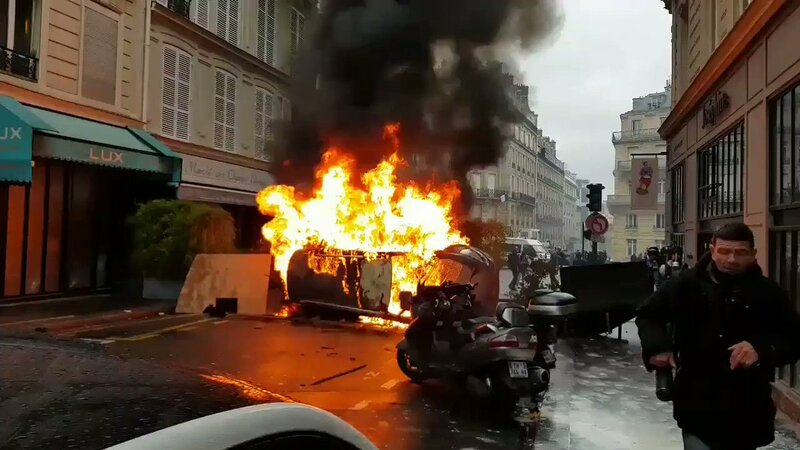 This happens when the rich need more taxes for fuel from French citizens which are proud enough for resist #Macron's elite fascist gov on the brink of collapse! 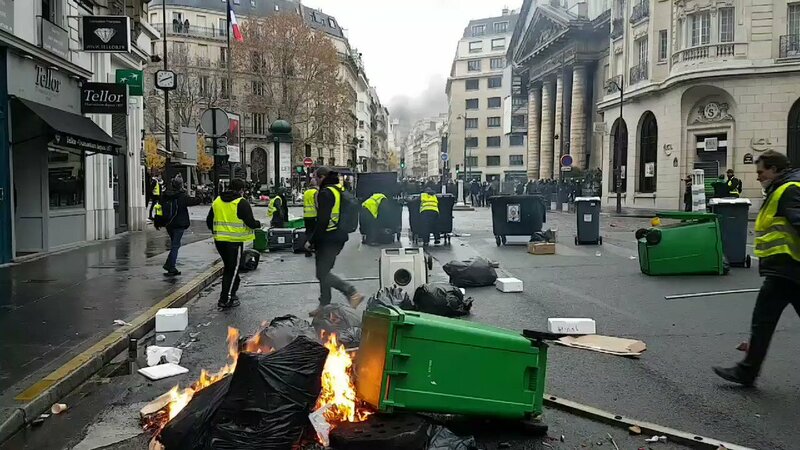 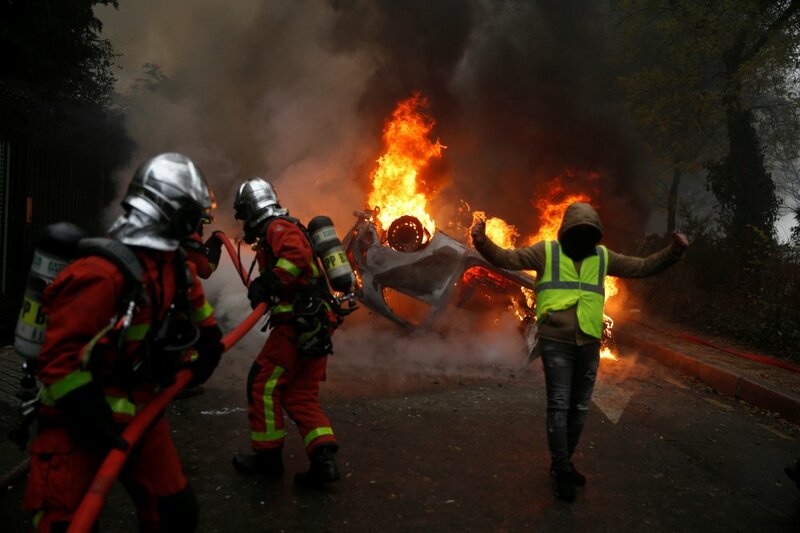 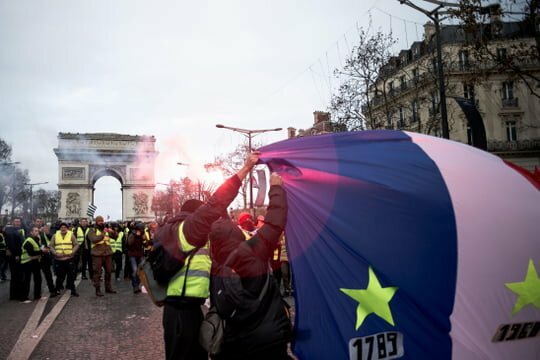 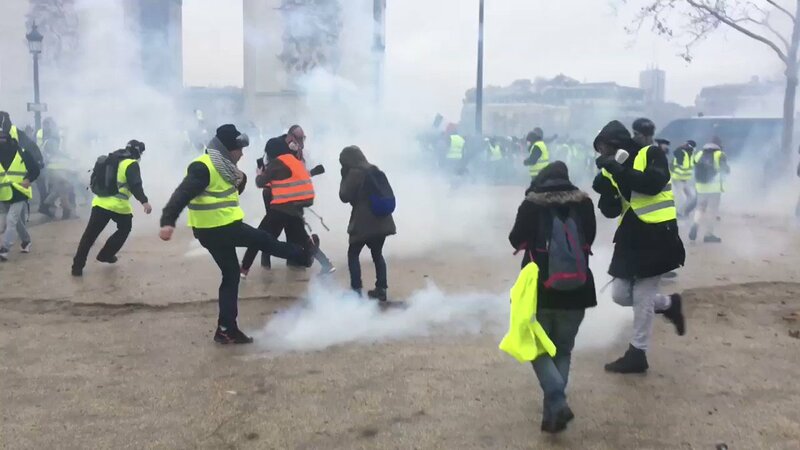 🏴..
⚠ 🚧 The #Revolution said; I was was, I'm there, I will be ..
Avenue Marceau protesters try to climb barricaded against police rioters coming from the #ArcDeTriomphe #resistance!! 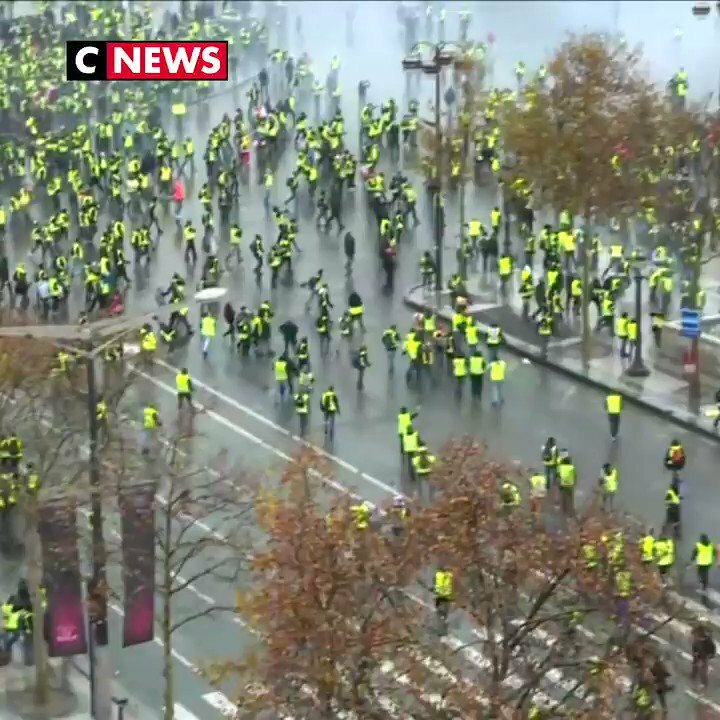 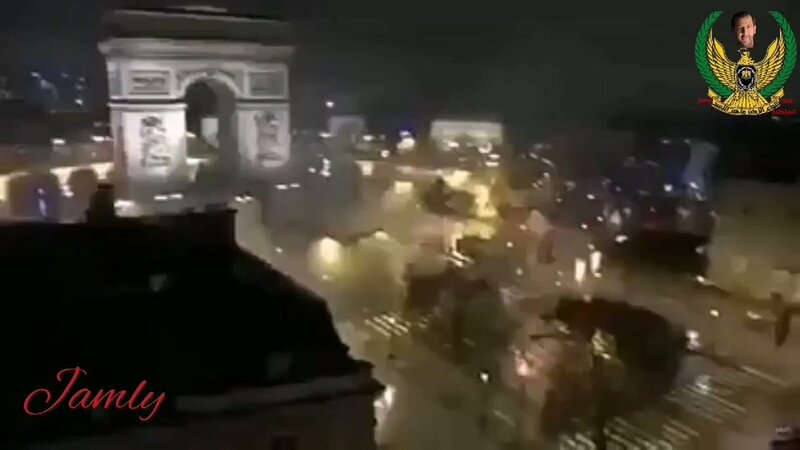 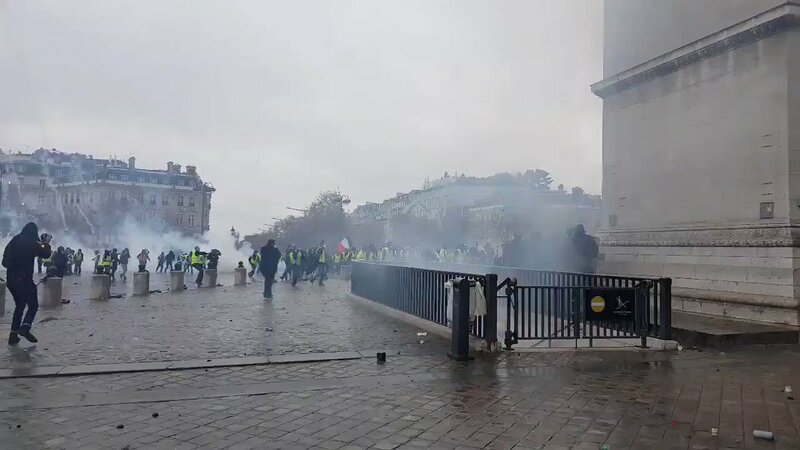 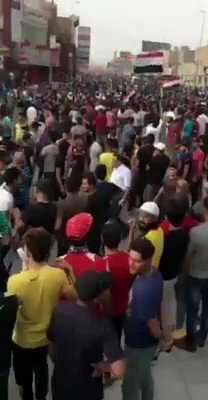 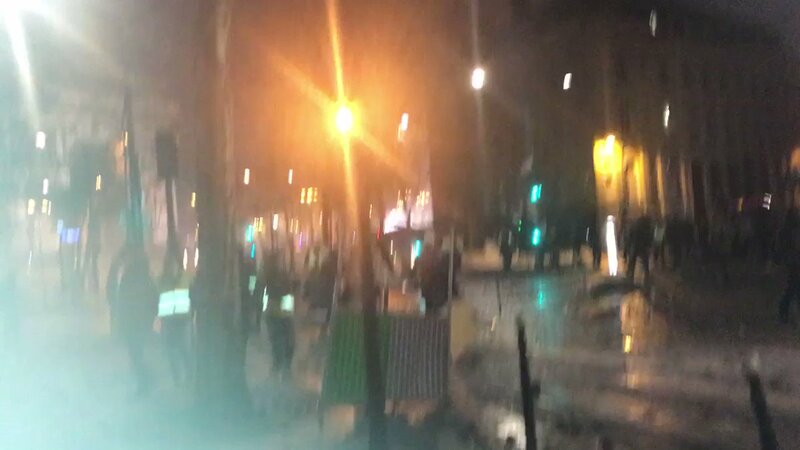 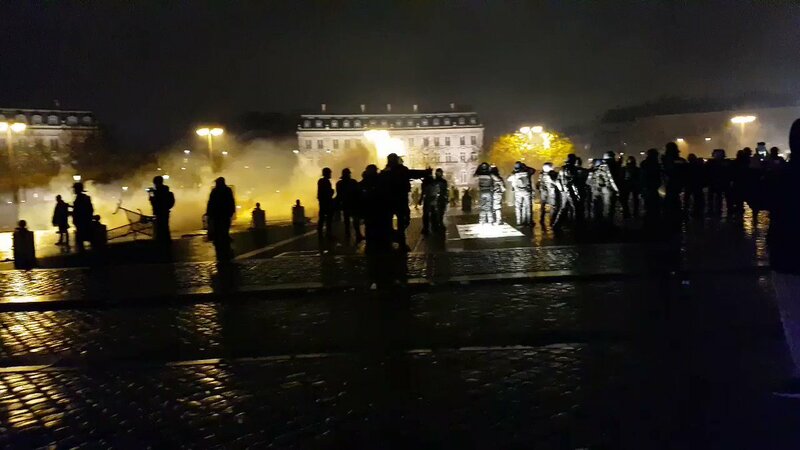 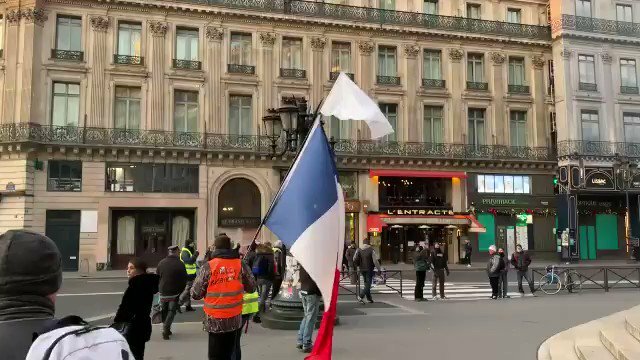 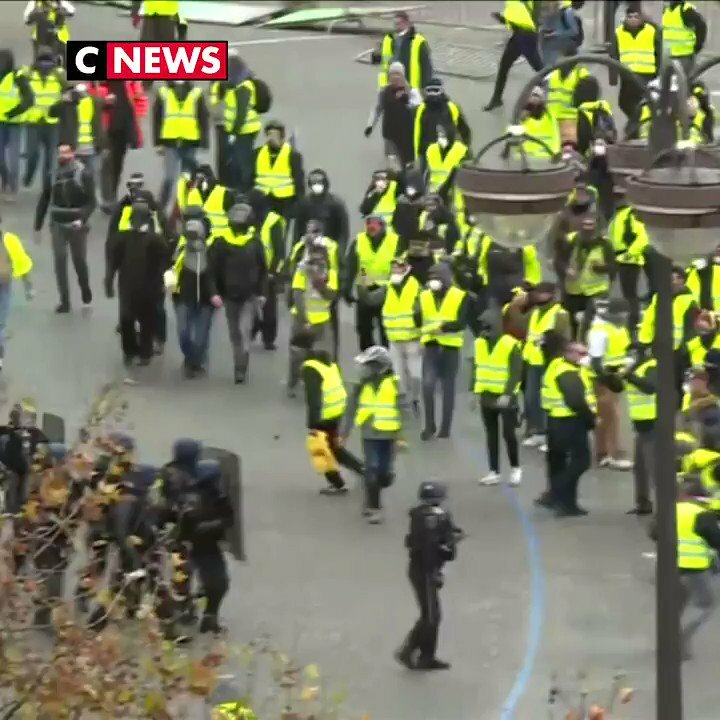 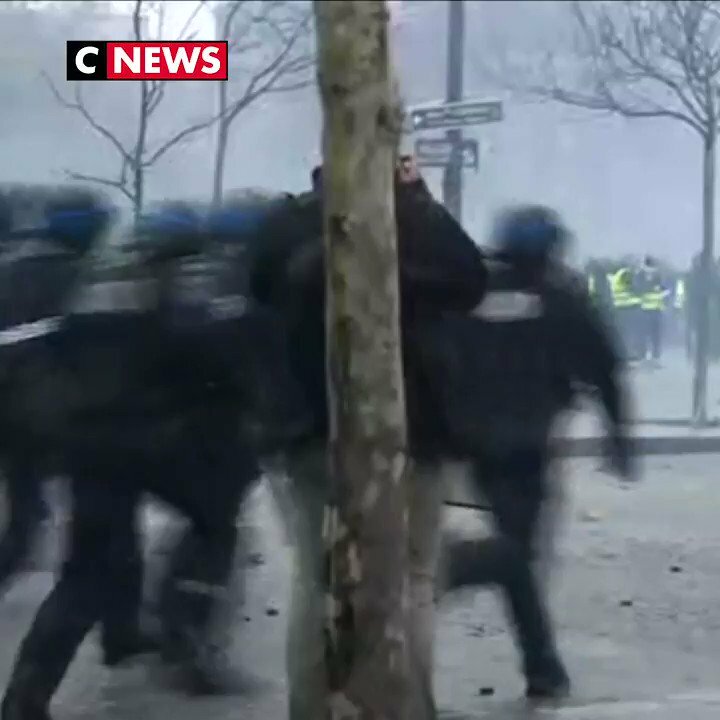 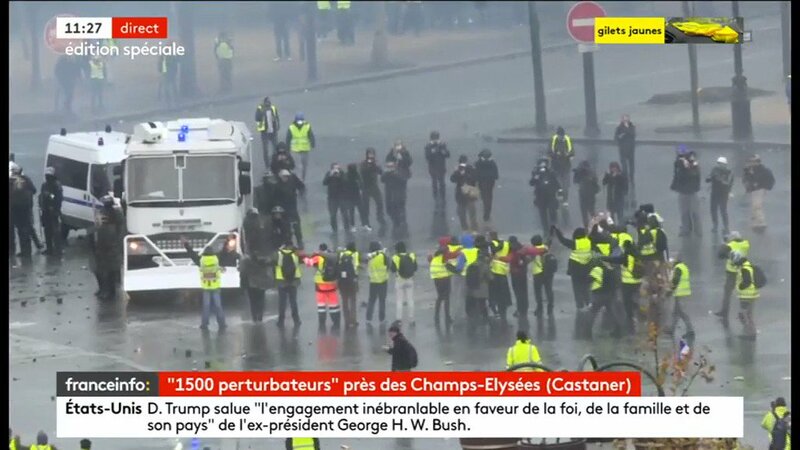 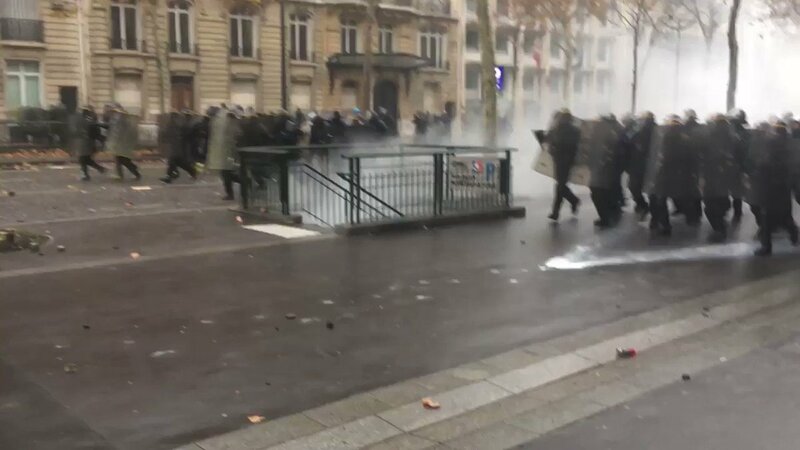 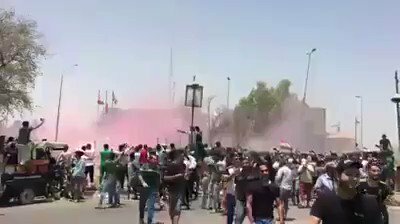 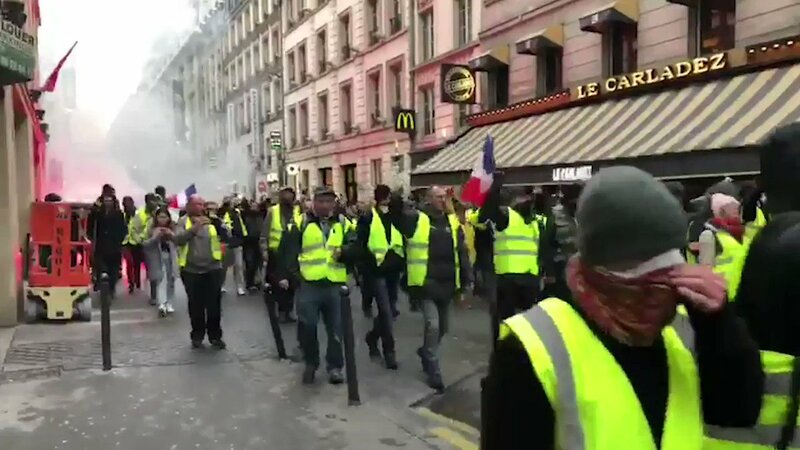 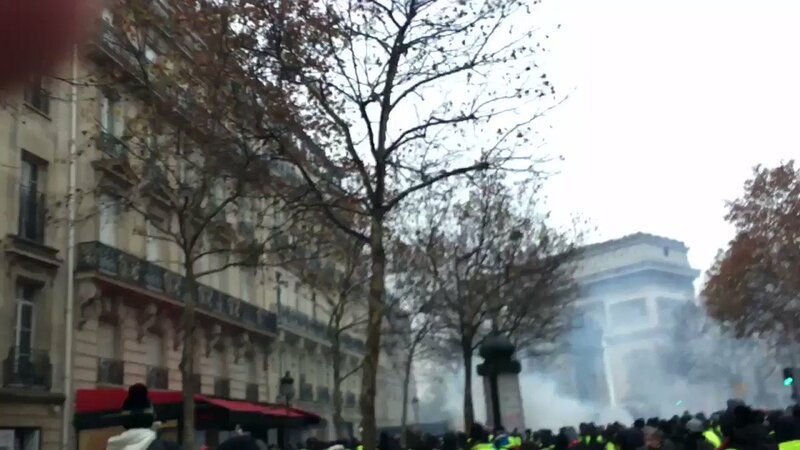 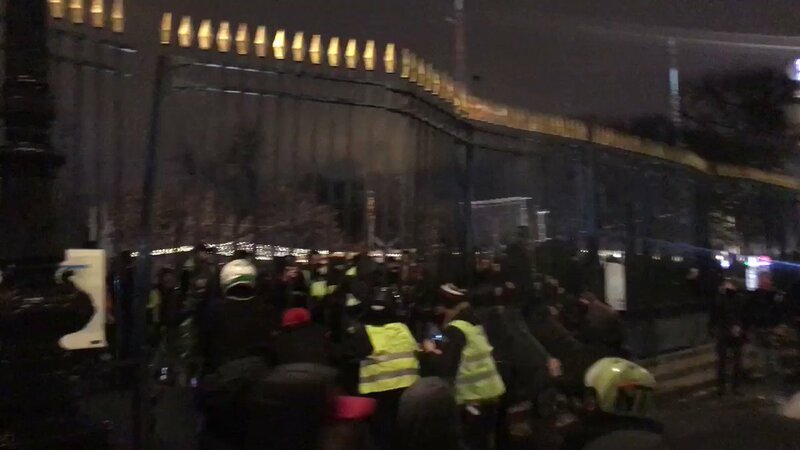 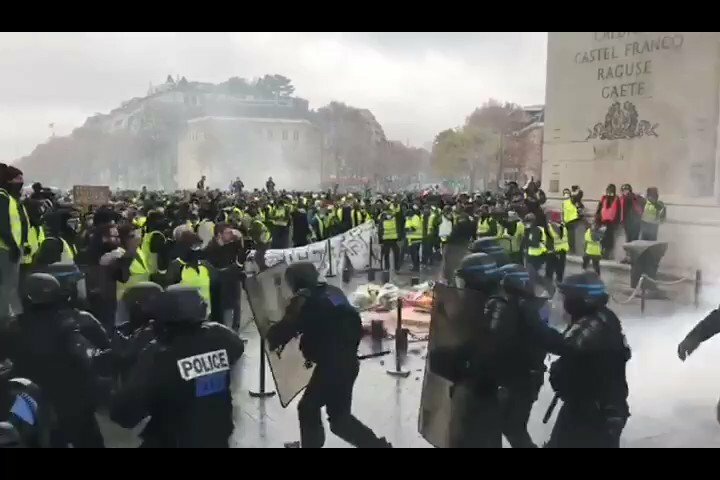 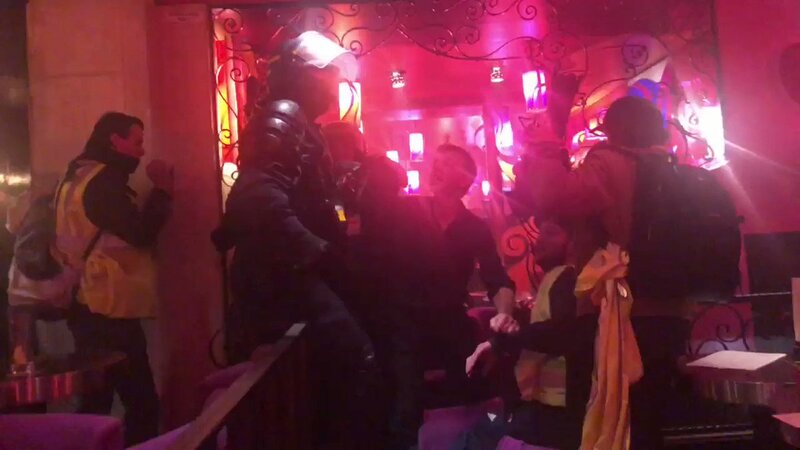 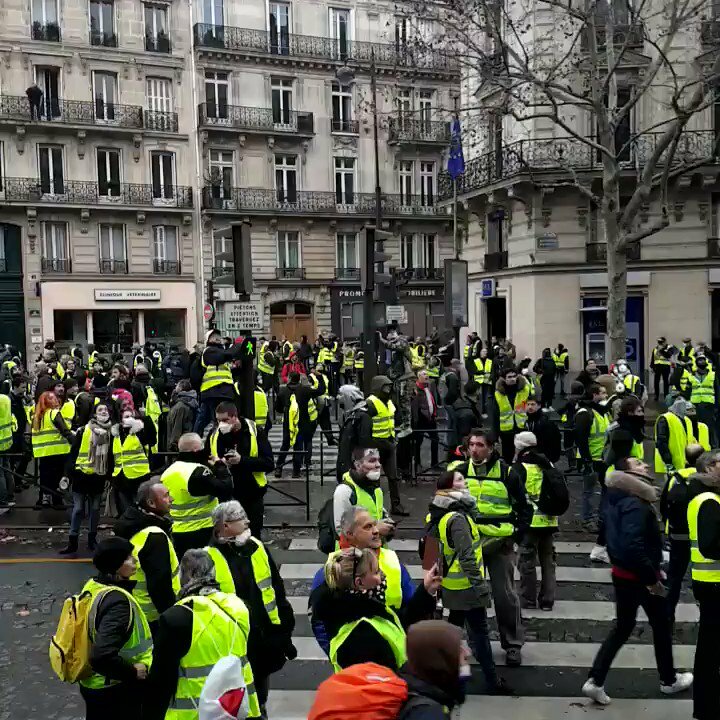 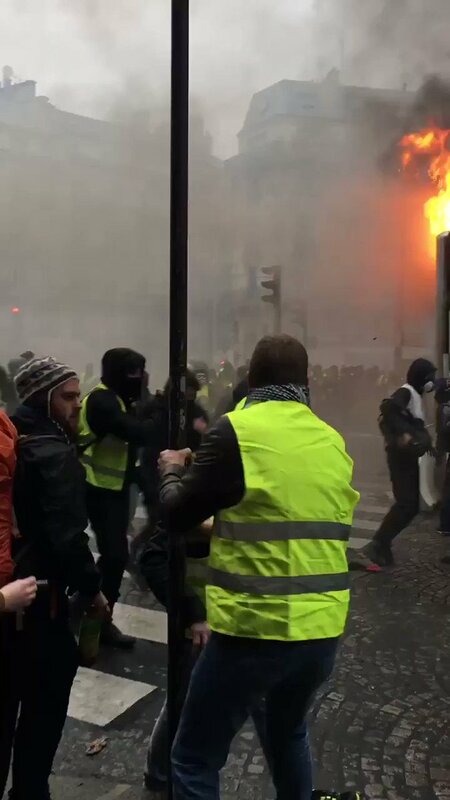 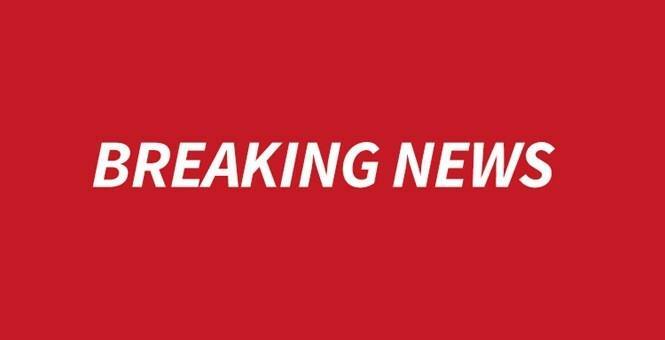 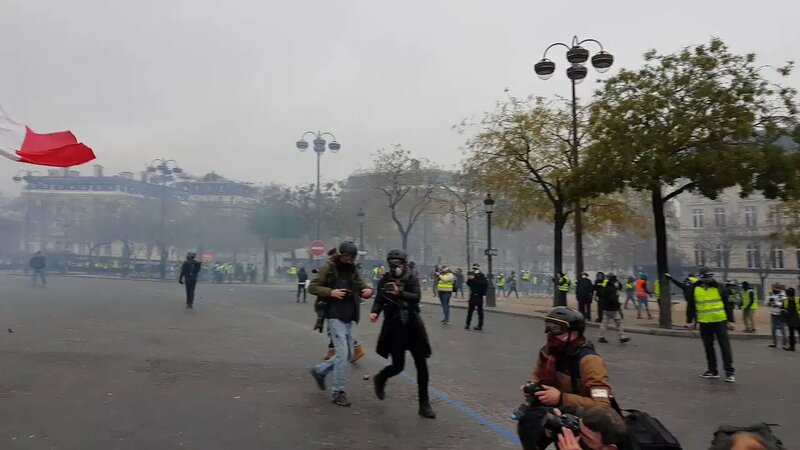 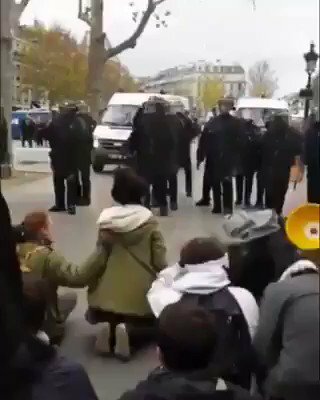 #Macron's CRS fascist rioters storming peaceful restaurant at Wagram Avenue ..
#Breaking #Paris: shocking footage: protesters storming the gate of the Tuileries yields (outskirts of the #Louvre), rue de Rivoli - it seems there are actually inside ..
#YellowVests #ChampsElysees #GiletsJaunes #resistance #1erDecembre #France ✌ #MacronDemission ..
⚠ A little reminder how peaceful #Macron's regime forces acting against protesters in #Paris ..
#Macron's police regime has definitely lost his credibility! 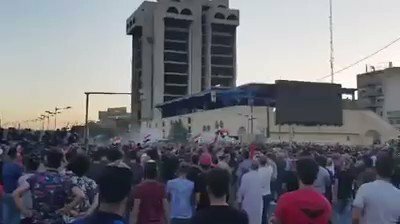 When elderly by regime forces becomes harsh intervention .. 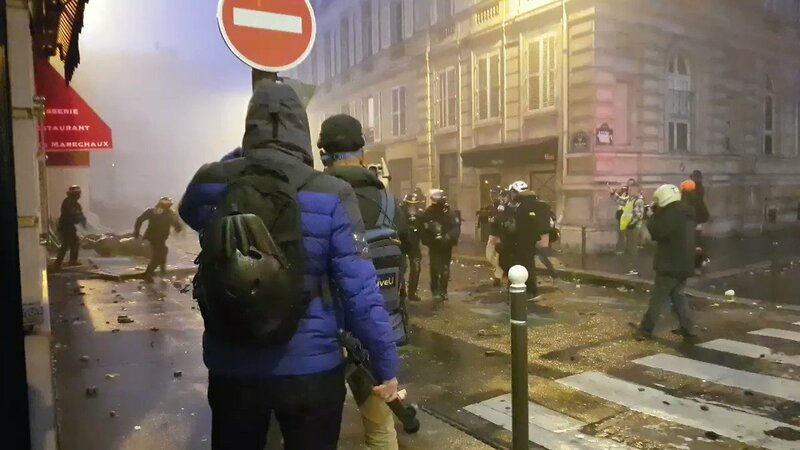 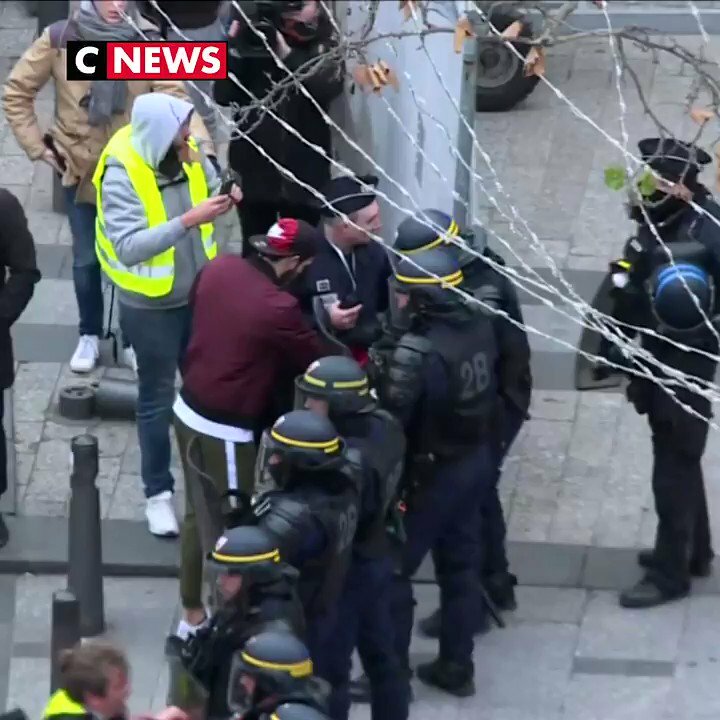 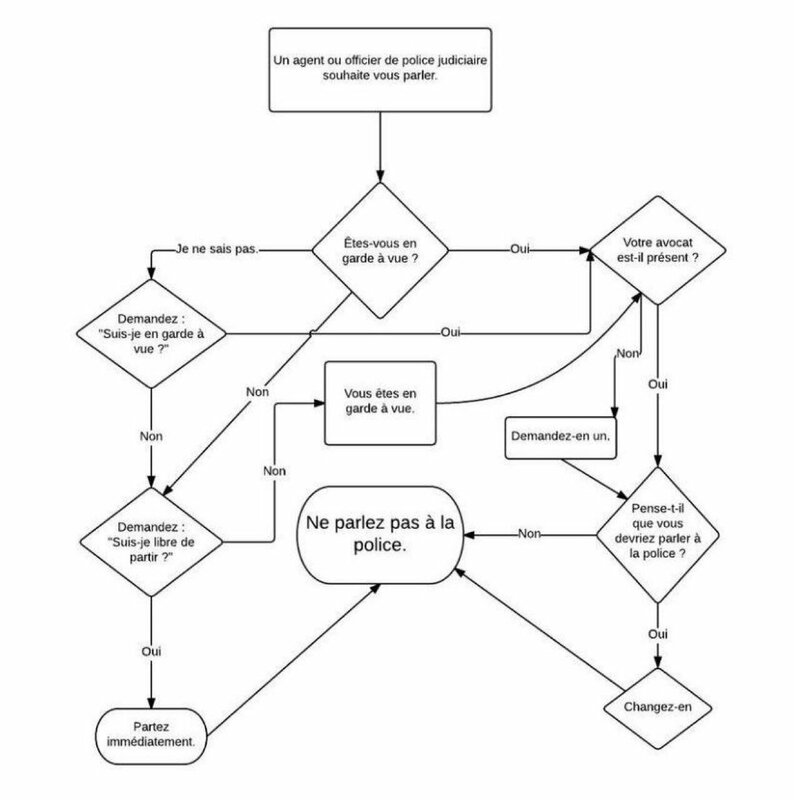 The fascist #Macron ordered on Saturday the French police to shoot at people (press included). 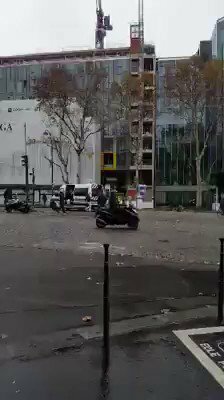 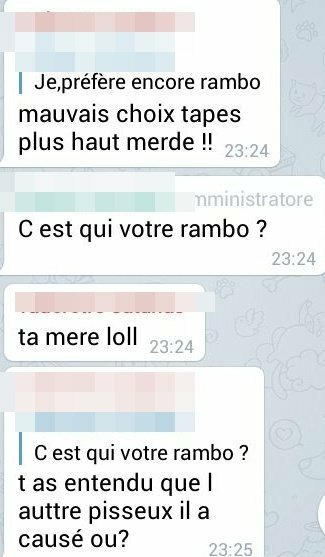 There were snipers on #ChampsElysees, #Paris. 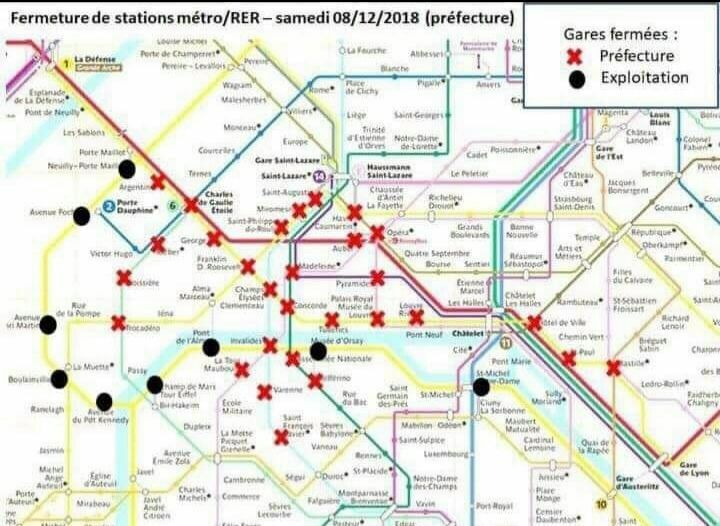 A state of emergency would interesting!